The most common interface details for structural framing are canopies and balconies that use cantilevered steel or aluminum elements. 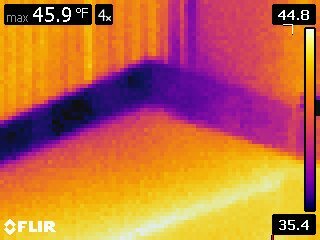 These elements are typically connected to slab edges or spandrel beams on the interior side of the thermal envelope passing through insulation and air barrier layers. 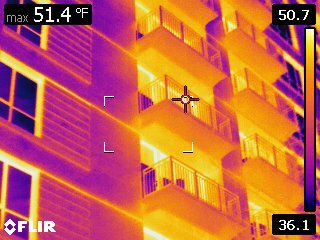 The R value of a wall assembly can be reduced by as much as 60% due to thermal bridging at balcony and canopy connections. 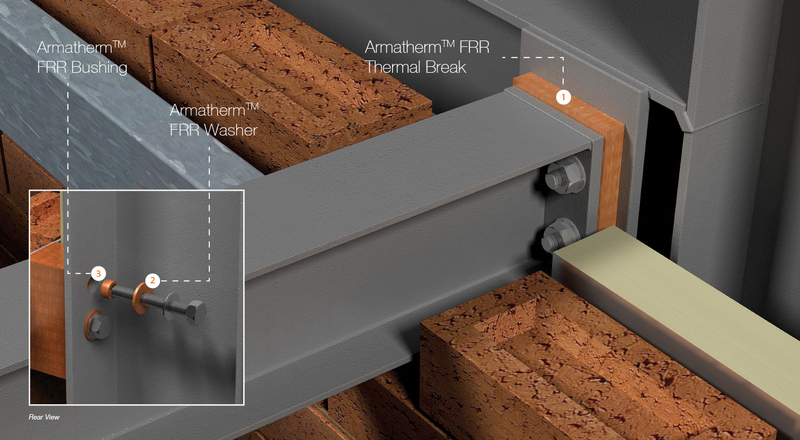 The point transmittance (heat flow) at these connections can be reduced by as much as 70% by using Armatherm™ FRR structural thermal break material. Armatherm™ FRR is capable of transferring load in moment and shear connections without creating signiﬁcant rotation. 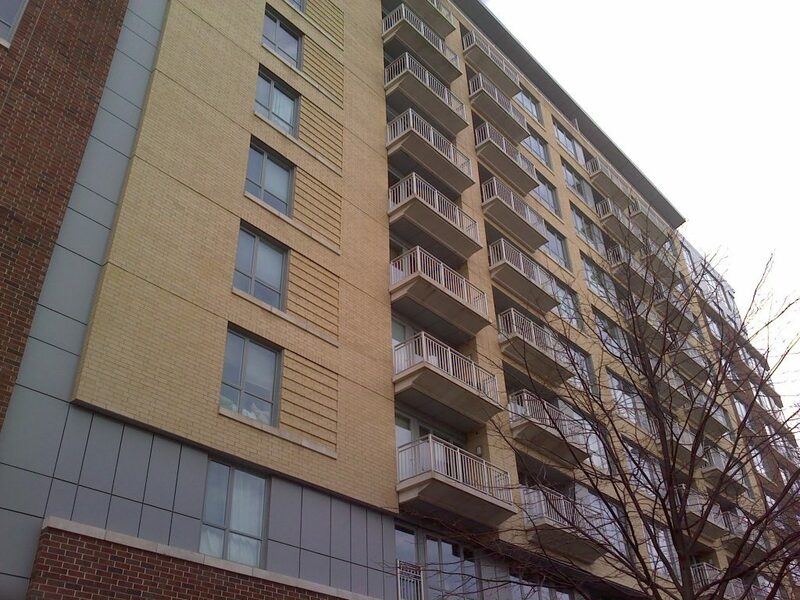 In structural testing, Armatherm™ FRR has been evaluated in balcony connections for creep, rotation and any impact on bolt force. 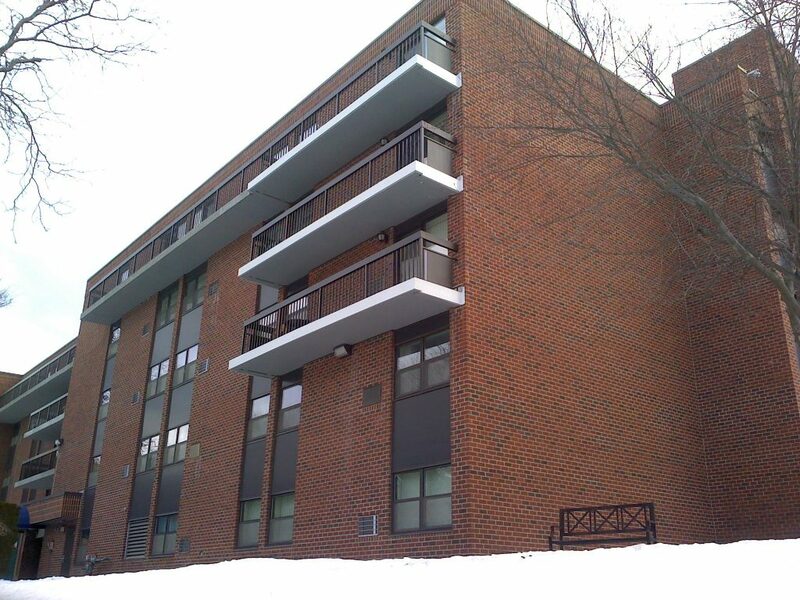 A structural thermal break must maintain the structural integrity of the balcony or canopy connection, while also minimizing heat flow.